Happy Birthday, Blow Out The Candle! It is Friday. And it’s time for new die cut challenge and reveal day at Stuck On U Sketches! And we have a themed challenge for you today. 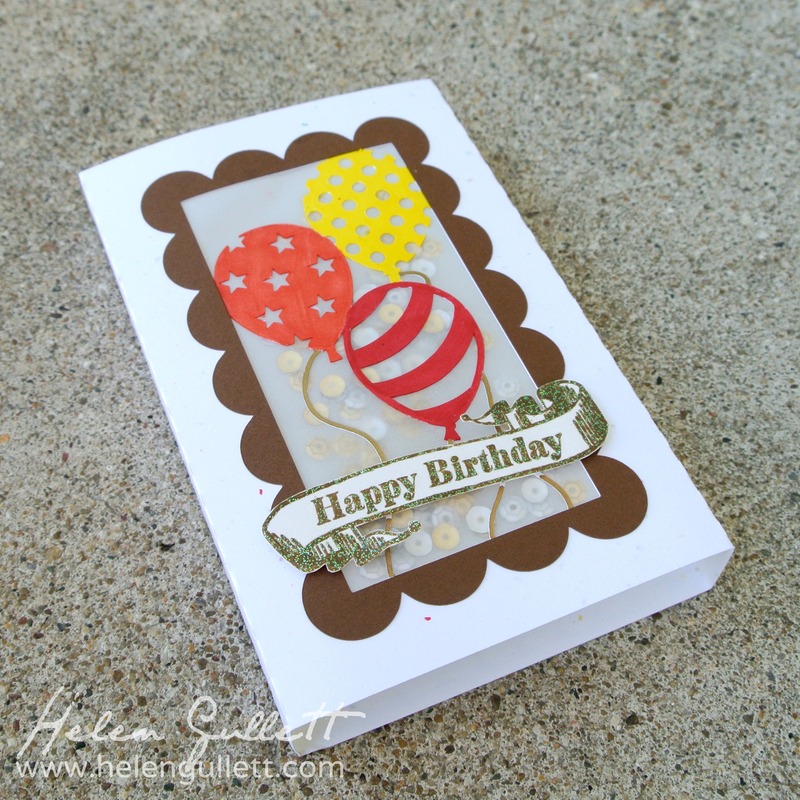 The cutting file I used for this card is 3D Standing Birthday Card from Lori Whitlock. 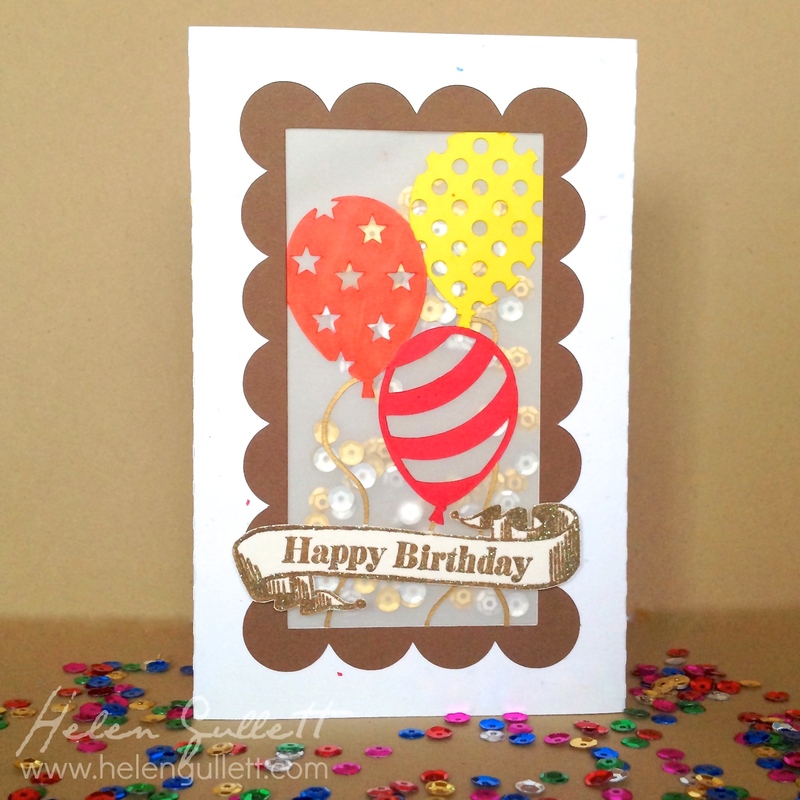 I cut the card base using White Daisy cardstock. I added velum for the window and added another layer to make like a pocket and filled it with silver and gold sequins. For the scallop frame I cut a piece of Cocoa cardstock. I colored the balloons with my Sharpies markers. 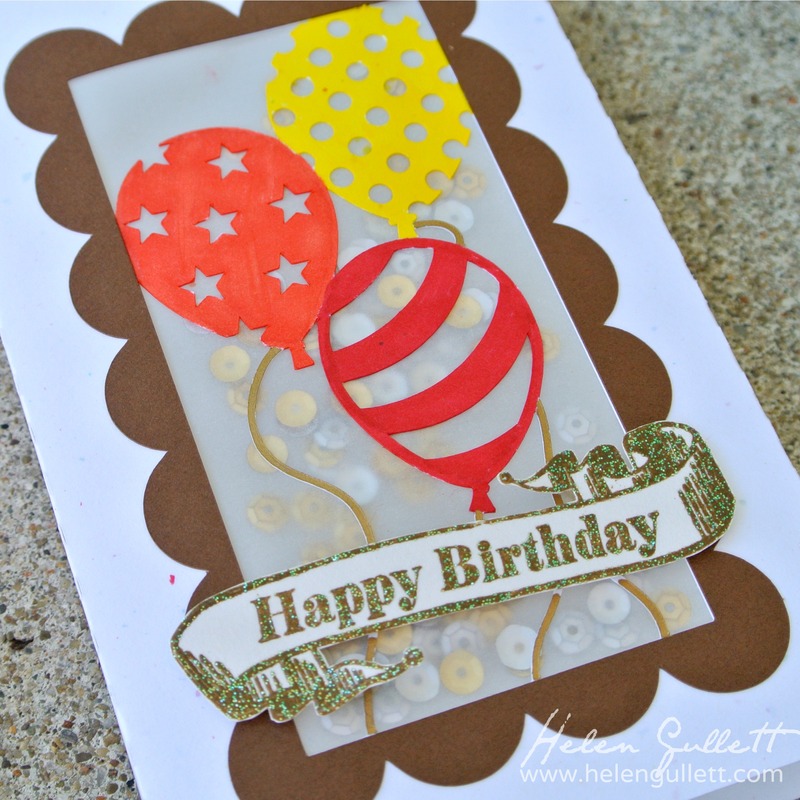 The sentiment I used is from Banner Wishes stamp set and the banner is from For A Friend stamp set. Both I stamped using Cocoa Mini Pigment Ink Pad on a White Daisy cardstock, added some glitter embossing powder, and heated it with my Craft Heater. 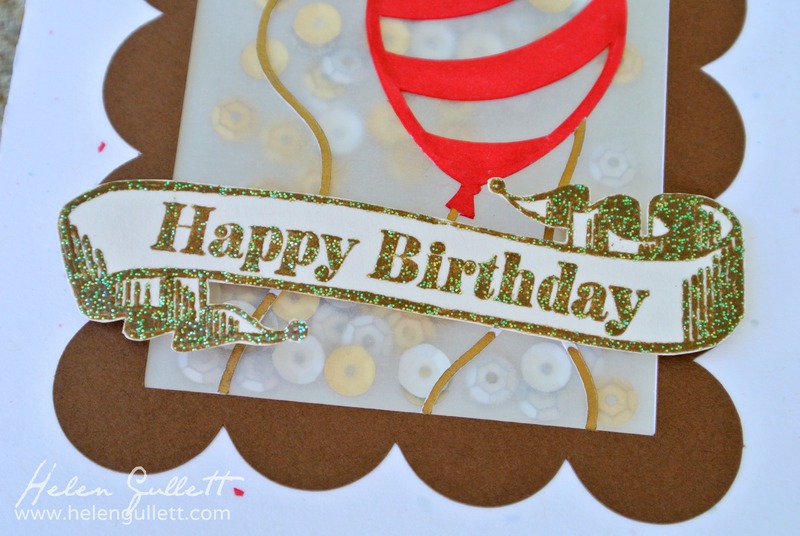 When it was cold down, I fussy cut the banner sentiment using Non-Stick Micro-Tip Scissors. Then I added it on the card using 3D foam tape for some dimension. Thank you for stopping by today and don’t forget to check on the Design Team inspirations on the SOUS Blog 🙂 Have a great weekend! Helen, I love the colors on the balloons. I also really like how the happy birthday banner turned out. Most of all I adore the vellum pocket. Hi Helen! 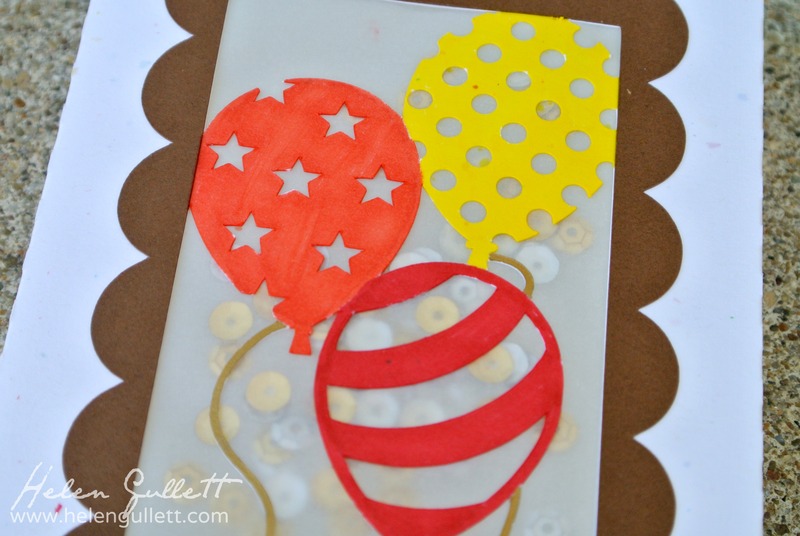 I love this card, especially the pocket you made with the sequins! So pretty…love the design and all those sequins!